Home show? Bring your own home! 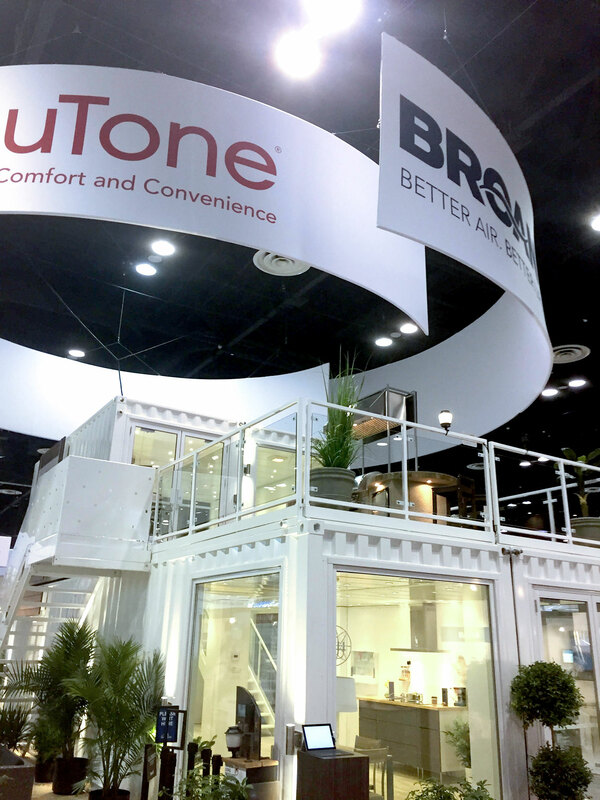 For the International Builders’ Show 2017 Edition, the Broan/Nutone manufacturing group recreated its spectacular tradeshow presence of Las Vegas 2016, this time in Orlando. 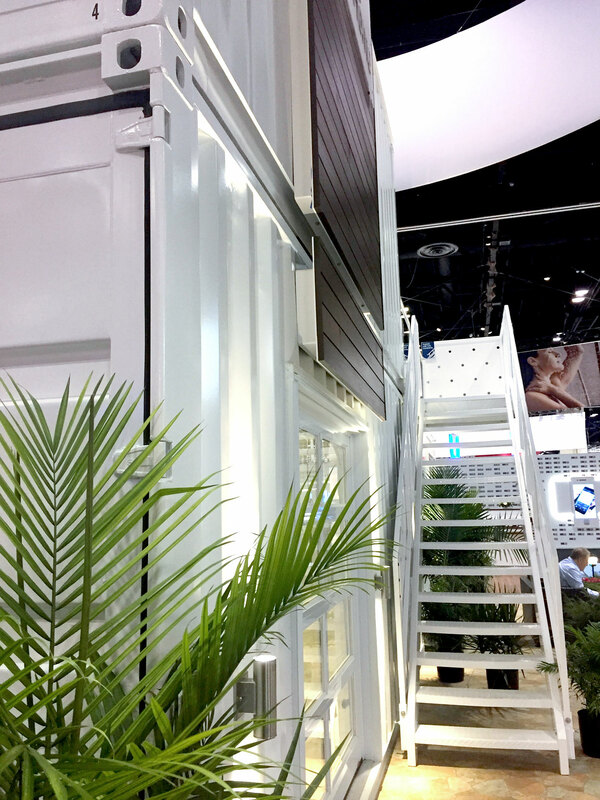 The concept is Loki’s interpretation of today’s smart, connected home, fashioned using a Loki DTS 40/20 unit, one of the only fully modular units of its kind with the space and presence to attempt such an ambitious undertaking. 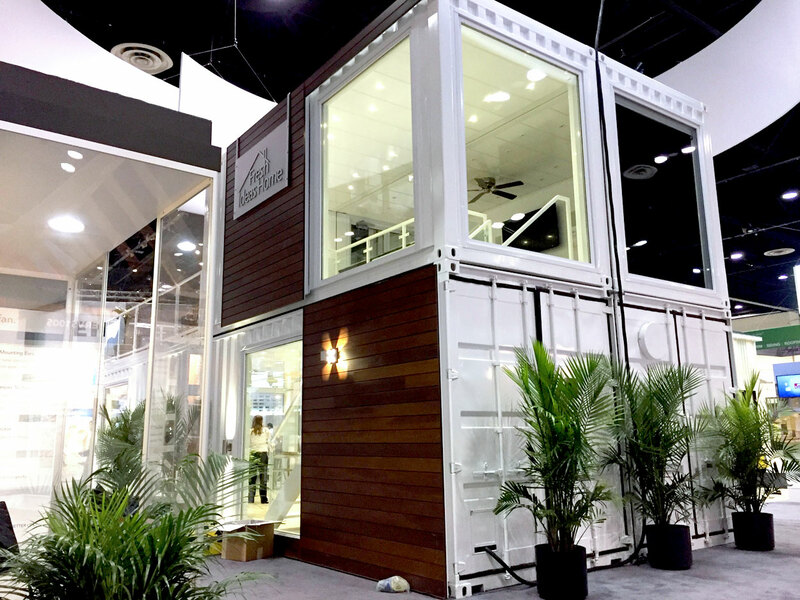 The imposing structure consists of two 40 ft. containers on the ground floor with two 20 ft. containers and a spacious open rooftop deck overhead. The 1280 sq. ft. Fresh Ideas Home is a stunningly modern living space that showcases Broan’s full product line, including home lighting, ventilation and smart automation technology. 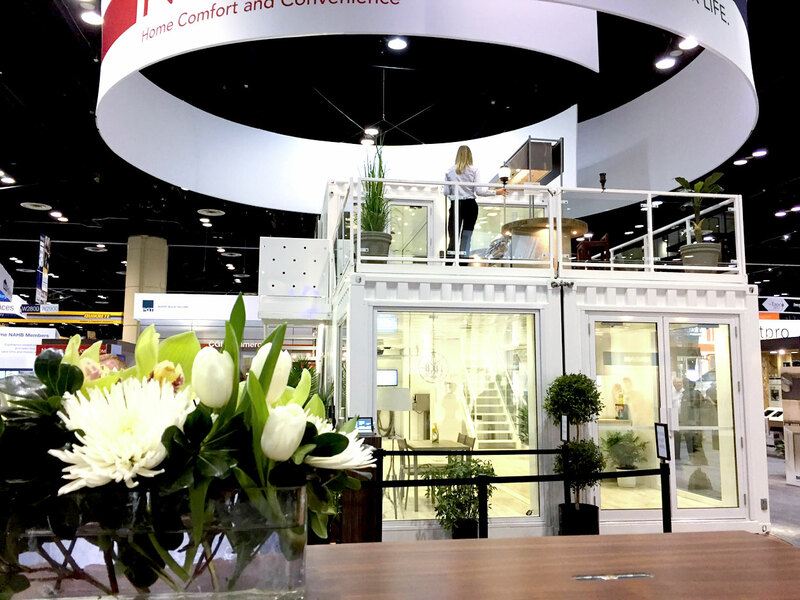 With all of the fine fit and finish of a high-end, modern home, the Fresh Ideas Home shows off each product’s functional as well as aesthetic features in the best possible light. Every 30 minutes a group of building and renovation industry visitors would get a guided tour of the home’s extensive collection of amenities. 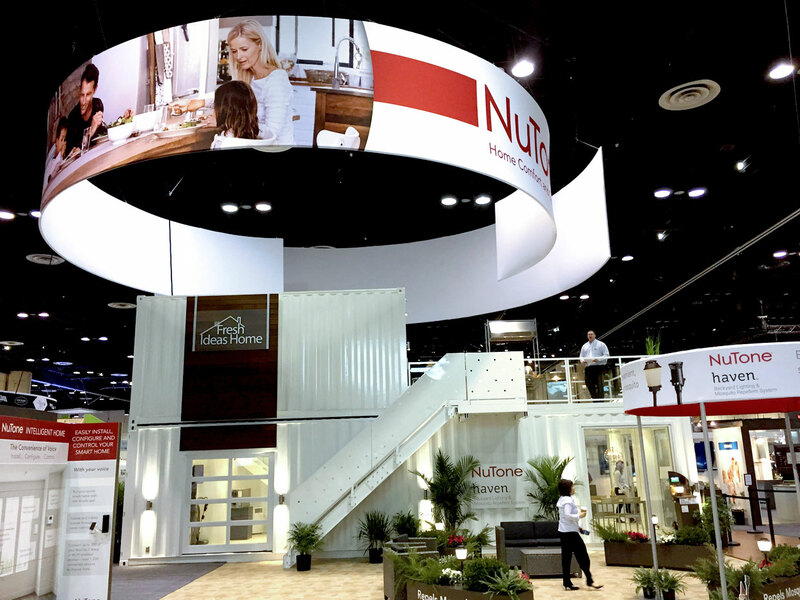 New : Integration of the company’s voice recognition technology for a complete showcase of what Broan/Nutone can do to make life at home simpler and better.